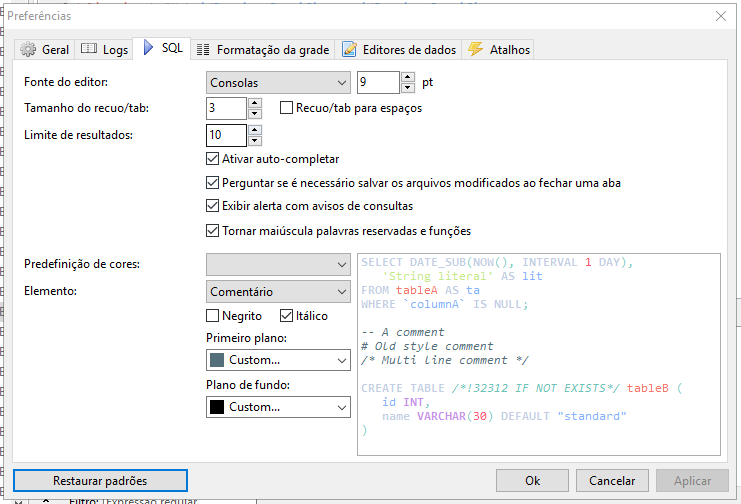 SQL Color settings dark, light, white and black not working. the colors stay like configured before. only material change the colors. Not so here. Weird. Although the colors in the preview panel seem to be correct for dark preset. 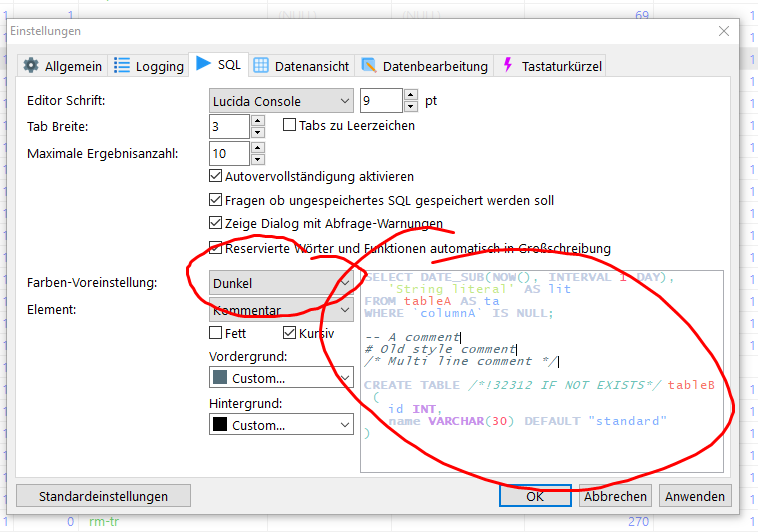 Accessing for the first time "Preferences > SQL", the color predefinition is blank. 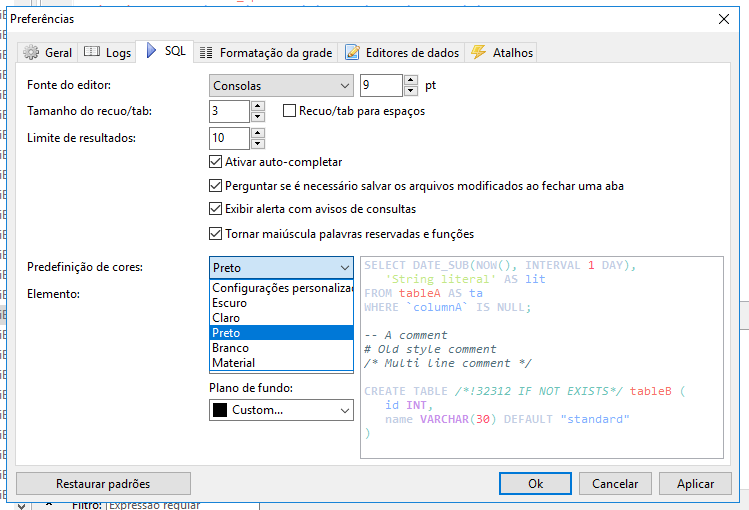 When I choose some of the options, the color scheme does not change. Could it be that "Material" is the only working preset? I have the feeling that these translated preset names are problematic. After switching the app language to English, I guess it works. Hm.. Yes... may be the language.. When I switch the app language to English, all the presets work fine, but when I switch back to portuguese they stop working. I just committed a fix for these translated presets. Should work in the next build.